Fall Into First: Happy Easter! 2. It is CRAZY but the end of the year will be here before we know it! (I am doing my happy dance) Each year I make these books and use them as my end of the year gift for the students in my class. By the time May comes, I have NO MORE MONEY to spend on my classroom so this is an affordable but incredibly meaningful gift! 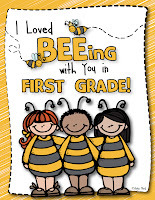 The theme of my classroom is bees so the title of the book I make for them is "I Loved BEEing with you in First Grade!" 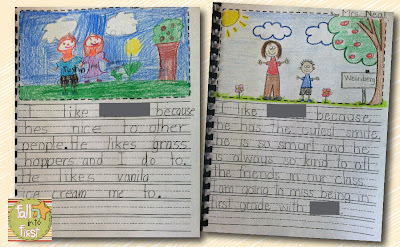 We pick one student each day and everyone in the class writes two sentences about why they liked being in first grade with them. 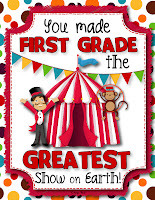 I have created a BEE theme, Circus theme and Owl themed book but if you would like a different theme book for your class just let me know and I would be happy to create one for you! 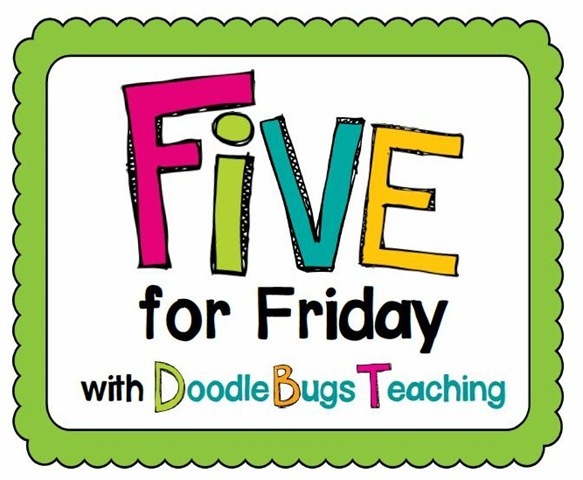 I just posted these on TpT for only $3 and each packet comes with a title page for Kinder, First and Second Grade and two different writing pages. Click on the pics below to link to the book! 3. In honor of the holiday weekend I am going to put 5 of my favorite items from my store on sale. You will have to hunt to find them! Click on the pic above to link to my store! 4. 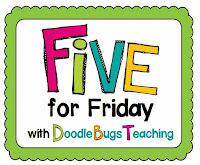 Cathy from First Grade A La Carte is having a birthday giveaway week! She will be giving away my Ice Cream Unit soon so stop by and show her some love! 5. My newest discovery! Are you kiddin' me? I am off to go spend some time with my new best friend! 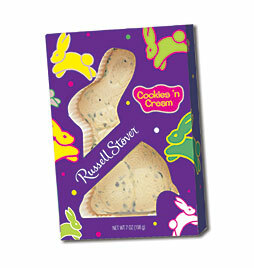 So sad....the poor little bunny never live to see Easter! HA! Love the cute bee book! 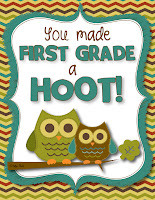 What a lovely memento for your students! I love your end of the year gift books! I love the effort your students put into the pages for each other. What a precious idea and keepsake and something they will always cherish! so sweet! Your daughter does make an adorable bunny:) What a sweet idea you have for your end of the year books. 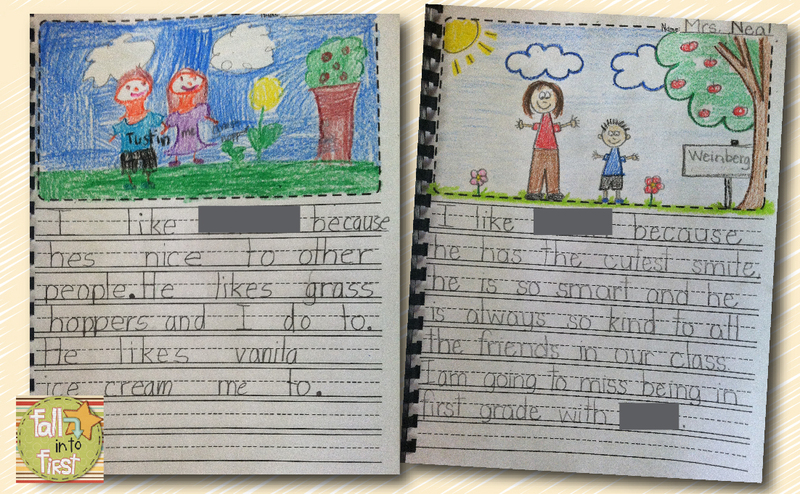 I made memory books of projects the kids have done, but writing nice things to each would make a great addition. Thanks for the inspiration!